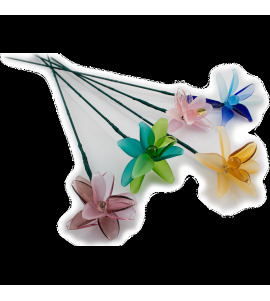 Murano Store offers a complete catalog of beautiful Murano glass art for anyone who is searching for gifts for her. 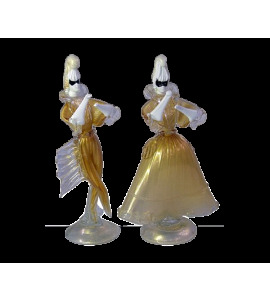 This category presents the most delicate items in our catalog, perfect gifts for ladies like a pair of earrings, a bracelet or a necklace made from Murano glass and even some gorgeous figurines and statuettes. 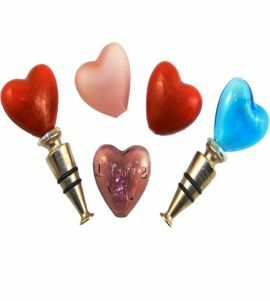 A heart made from blown Murano Glass is a wonderful gift to offer your wife or girlfriend for Valentine's Day or for your anniversary. 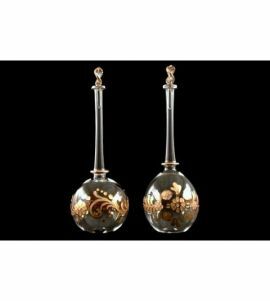 Venetian Glass flowers are delicate gifts which can be offered on Mother's Day while gilded Amphorae, bottles or decanters are a beautiful present for any woman. 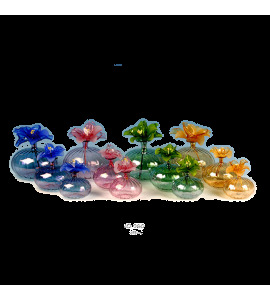 No matter what you want to get For Her, we have great options for any occasion, all of our gifts made in Venice, Italy with the expertise and creativity of artist specialized in Murano Glassworking.